One does not now what truly inspires an artist to memorialise a scene but we, the viewers, should be moved or enticed into joining with the artist in seeing his motivation. Being individuals we will each see from our own perspective and thus find our own foci in whatever artwork we might be looking at. #RobertIver presents to us a tranquil setting. 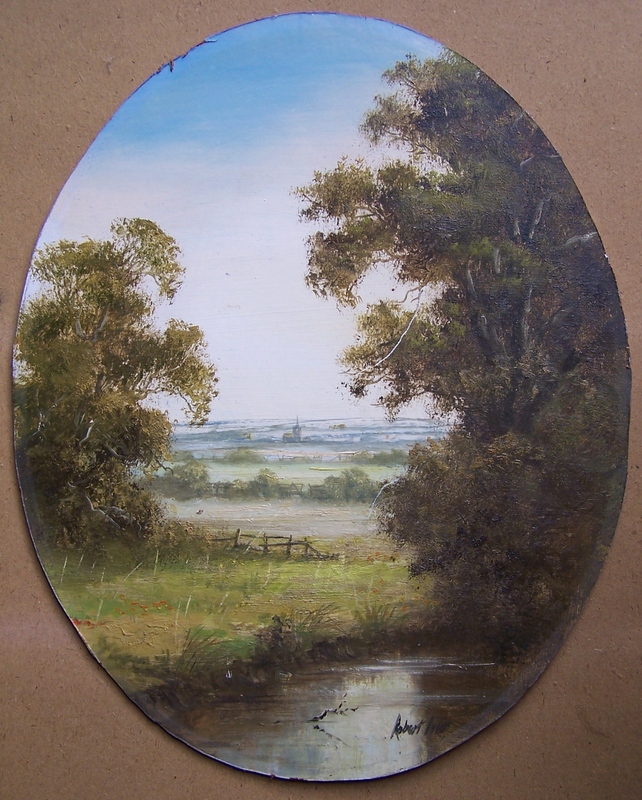 A river or pond in the foreground and fields enclosed by hedge rows drawing us towards the small chapel in the distance. Is this scene real or imaginary. Whichever, it matters not for as we look at this painting each one will be drawn to their own solace and respite. We might just wish to dip our toes in the cool water, or picnic in the field, or cross to the chapel – each will find ones own place . The next painting by #BTWinn continues our tranquil mood. We are on the path along the river at the lock and happen upon a woman sitting on a fallen tree. Is she remembering her love who was lost in the conflict. Do her memories stir her into immobility. Does she weep?Remember? Are we intruding into her grief or do we share in her grief and loss – ‘we will remember them’. These of course are just my ‘wonderings’ and they are mine – yours will lead you to other places, other lands and other realities which you will find in and for yourselves. Stand, look and wonder at the art which surrounds you. Let it take you to places beyond the present – into the future of your dreams or the imagination of history past. That is what art can do for you. 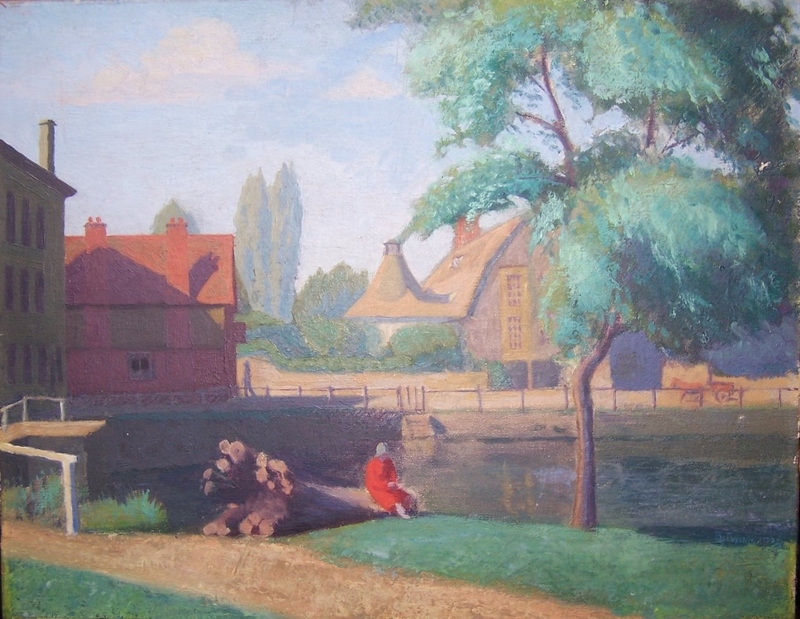 This entry was posted in Oil Paintings, Uncategorized and tagged canal, chapel, hedge rows, horse and cart, pasture, pond, river, trees. Bookmark the permalink.